The Robosail project is finished! 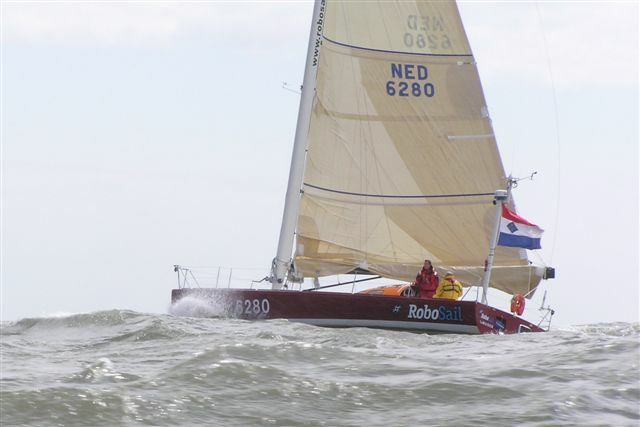 Click here for a movie with images of the Robosail at its peak, doing speeds over 20 knots in the Dual Round Britain and Ireland 2002. Sander Bakker is well known in the world of single handed sainling (mini transat, Figaro etc.) He is planning to re-rig the Robosdail and to participate in major singlehanded sailing events. We wish Sander and his team a lot of luck. He has acquiered a very special boat with great potential. See also: http://www.tunedrigs.com/ and http://www.tunedrigs.com/index-profiel-bedrijf-sander.nl.html for further information.